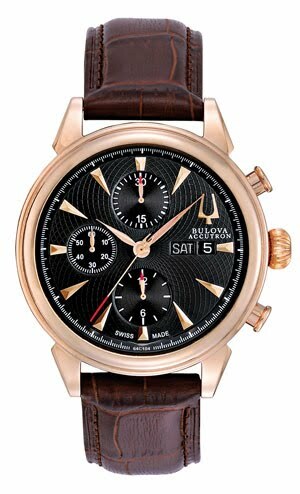 Named after NASA’s pioneering space programme that led to the triumph of the Apollo missions, the Gemini collection by Bulova Accutron expresses the visionary spirit of the 1960s. At a time when the cooperation between Bulova and the American space agency was in full swing, the Gemini Programme incorporated a Bulova Accutron clock with a 24-hour display into the instrument panels aboard the modules taking part in eight consecutive missions. By providing astronauts with a fundamental point of reference after take-off, Bulova Accutron contributed to the success of the Gemini Programme which achieved unprecedented breakthroughs for the U.S.A in the space race, including taking humankind to the moon. From the first satellites to the lunar seismometer from Apollo 11 that was deployed in the Sea of Tranquility, along with clocks on space module instrument panels, Bulova Accutron pays tribute to its rich past with the Gemini collection. Admirably echoing these epic endeavours, the Gemini models combine classic lines with Swiss watchmaking expertise. The latest addition, the Gemini Valjoux line equipped with the ETA 7750 Valjoux self-winding chronograph movement, will delight devotees of mechanical precision and satisfy all kinds of tastes through its three versions. The Gemini collection embodies the audacity of the space age pioneers and captures the very essence of Bulova Accutron – innovation, reliability and precision. Mechanical self-winding, ETA 7750 Valjoux, 25 jewels. Hours, minutes, seconds, chronograph, day and date. Day/date windows at 3 o’clock. Stainless steel with double-pusher folding clasp.